Manila, Philippines - Senator Bam Aquino on Tuesday reminded public elementary and high school officials about the existing Department of Education (DepEd) policy that prohibits collection of graduation fees. 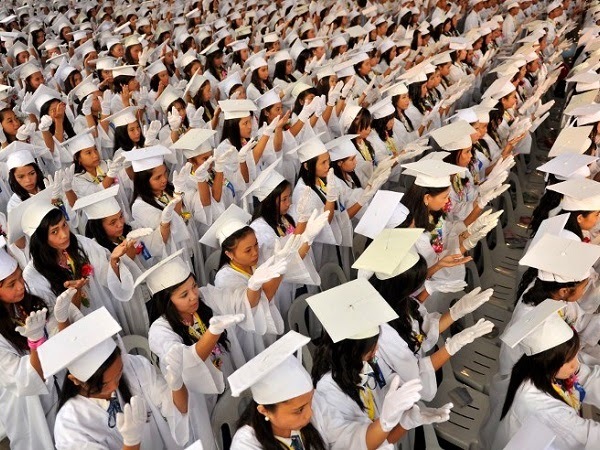 "Any public school official who will prevent a student from graduating due to failure to pay any kind of graduation fee will be subjected to administrative sanctions," warned Aquino, chairman of the Senate Committee on Youth. "No less than the 1987 Constitution protects our rights to free education and we must take the necessary steps to uphold this provision," Aquino said. "We need to put a stop to this and one way of doing it is to get the public's cooperation as they are our eyes and ears on the ground," Aquino stressed. "Our countrymen in devastated areas still need our help," said Aquino, who recently visited Bohol to observe the ongoing rehabilitation in earthquake-hit areas.